"This award acknowledges the best in the business. It goes to a salon that provides impeccable service, innovative and inspiring beauty treatments and results that really work." Finalists for - "Team and Service Award - Mid Wales 2015 and awarded 4 Stars by "The Good Salon Guide"
JoJo Beauty Studio offers High Definition Brows and are official make-up stockists incorporating Aesthetic Lines Advanced Therapies (Established 30 years). JoJo is a highly experienced and long established beauty studio with a modern and convenient approach to meet the needs of today's busy woman. 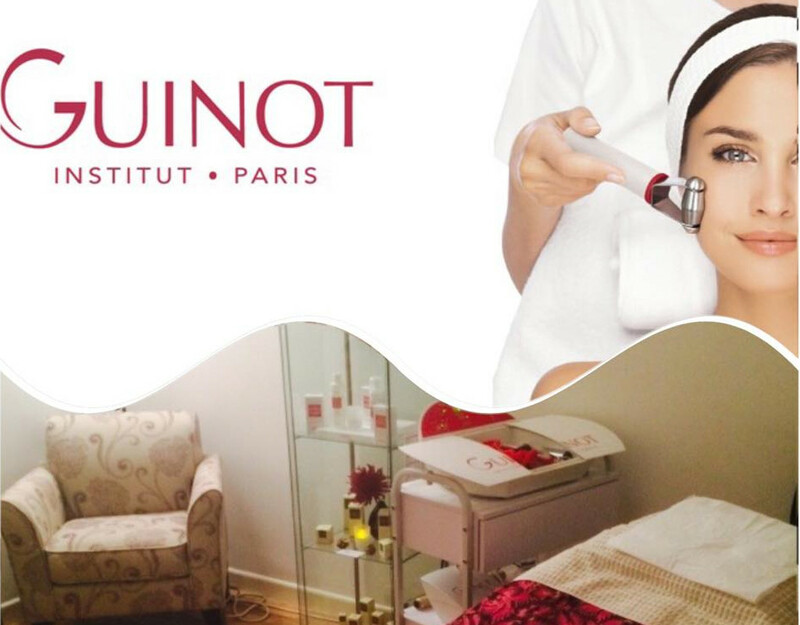 We are agents for the world renowned Dermalogica and Guinot Skincare and their treatments and have been nominated for Guinot 'Crown Status'. We do the amazing American Bio Slimming Wrap, Adam & Eve Wax, Advanced Waxing, CND Shellac, CND Vinylux, Lava Shell and Hot Stone Massage, Reiki and Indian Head Massage, along with SiennaX, St Tropez, Moroccan Tan and Fake Bake Spray Tans. We offer microdermabrasion and the fantastic "no needle" Mesotherapy Infusion Facial for deep and dramatic results. We have regular visits from specialists in Injectables and Semi Permanent Make Up and superficial Chemical Peels, Red Vein and Skin Tag removal are all done by Jo giving outstanding results with no down time! For information on our treatments please call us or visit our website. Member of The Guild of Beauty Therapists, Nail Technicians and Holistic Therapists. Wow, what can I say .it's my first experience of having hd brows and Jo was fantastic, I will definitely be back as I have also made a few more appointments for other treatments.,Thank you so much Jo, your a gem . Received Red Vein treatment yesterday, Amazing, Thank you Jo. Highly recommended. I certify that this review is based on my personal experience of JoJo Beauty Studio and is my opinion. I have no business or personal link with JoJo Beauty Studio and have not been offered payment to write this review. By providing these comments you give Good Salon Guide permission to review and publish this information. Good Salon Guide reserve the right to edit comments for length, spelling or clarity where appropriate. As part of this appointment request Good Salon Guide will record your name, email address, telephone number and appointment details. This information will be passed to JoJo Beauty Studio by email, through the Good Salon Guide app and over the telephone. This data will not be shared with any other companies and we will manage your data in line with your preferences below.